When the engineers and designers at Honda set out to redesign the Honda Accord, you can bet that West Michigan drivers are going to pay close attention to the changes. The Accord has long been one of the most popular sedans in the country, and there are no signs that its success is going to fade. Still, the Accord’s popularity means that there’s a lot at stake when its appearance and its features begin to change, and you’re certainly not alone if you’re eager to find out what this new model can do. 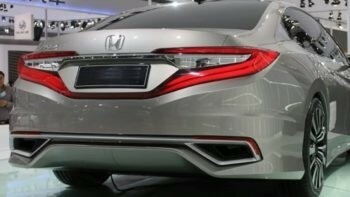 As noted in one recent preview at CNET’s Roadshow site, although “it may be easy to write off the launch of a new midsize sedan as no big deal … When the new midsize sedan is a Honda Accord … it’s still very much a big deal.” Skeptics can rest assured, the 2018 Honda Accord is sharper, more powerful, and better equipped than ever before. Those who expect more of the same from this 2018 redesign are sure to be surprised by some of the elements that are making their first appearance in this 10th-generation model. The old Accord’s 4-cylinder and 6-cylinder engines have been replaced by two new 4-cylinder turbocharged systems that each offer plenty of power. What’s more, the 2018 Accord has also been equipped with a refined version of Honda’s two-motor hybrid system, ensuring improved handling capability. On the inside, buyers who opt for the new Accord will be able to access everything from 4G LTE in-car WiFi to a 6-inch head-up display. This year’s Accord sits wider and lower than the models of the past, and it’s been decked out with a bold and sophisticated front fascia grille and a fresh sculpted body. Drivers will have to wait a little longer to test drive the 2018 Honda Accord, but those who don’t want to wait can get behind the wheel of the 2017 model today. Contact us to learn more about our current offers, financing options, and available vehicles! Once you’ve had the chance to test out an Accord at your local West Michigan Honda Dealer, you won’t be able to settle for any other sedan.